Aamir Liaquat’s decision to join Pakistan Tehreek-e-Insaf (PTI) on Tuesday, has been nothing less than a shock for many of us, considering that the popular anchorperson had decided to part ways with politics for good last year. It may be noted that the ex-Islamic scholar (pun intended) has served as a Minister for Religious Affairs after winning elections from NA-249 Karachi on MQM’s ticket. He had left the party only to join again. 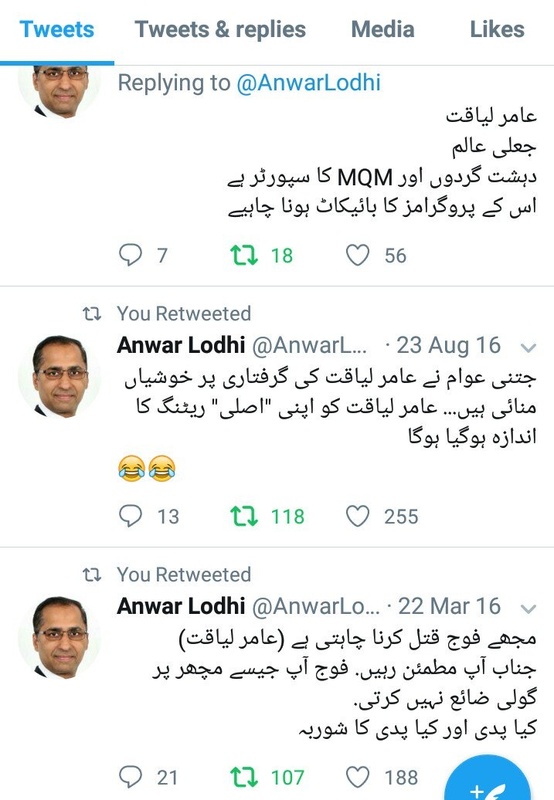 After the MQM controversy related to the anti-Pakistan remarks by Altaf Hussain, Aamir Liqauat left the party again, leaving politics for good. The news broke last evening when PTI Karachi’s leader Imran Ismail announced Amir’s inclusion in the party. Please to announce that Dr Amir Liaquat Hussain joining PTI. Press conference at my house tomorrow inshallah. PTI’s Faisal Javed also confirmed that Aamir Liaquat will be formally joining PTI in a press conference on 25th. Whether or not he joins the party, the social media has yet again found something to talk about and it’s hilarious. Let’s see what people have to say about the popular host’s most recent drama. Let’s start with MQM’s Syed Ali Raza Abidi, who hammered PTI with his remarks saying the party can never win in Karachi. Congratulations PTI on gaining Aamir Liaqat’s trust and abilities. He will be a great addition to your team in Karachi which can never win. How can Aamir Liaquat not say anything to such a tweet? He reminded him of London Funding, and that he should brace himself for the upcoming talk show. Anyways, let’s see what the Twitterati had to say. #AamirLiaquat has a track record of cursing & rubbishing #GEO & #MQM ,both of whom he swore allegiance to. Beware #PTI U might b his next! Drama? Much more than that! So now your drama will continue in PTI? He sure is legendary, no person on Earth can deny that! It can prove to be a good tactical move. She’s being sarcastic, I guess. Aamir Liaquat vs Talal Chaudhary? Fingers crossed! And now we’re looking at the possibility of Aamir Liaquat not joining PTI as he hasn’t appeared before the media for the scheduled press conference. What do you think? Share your views in the comments section. Aaamir liaqat is the reaction of MQM and PTI marraige. A typical Youthia response to this news. WOW! 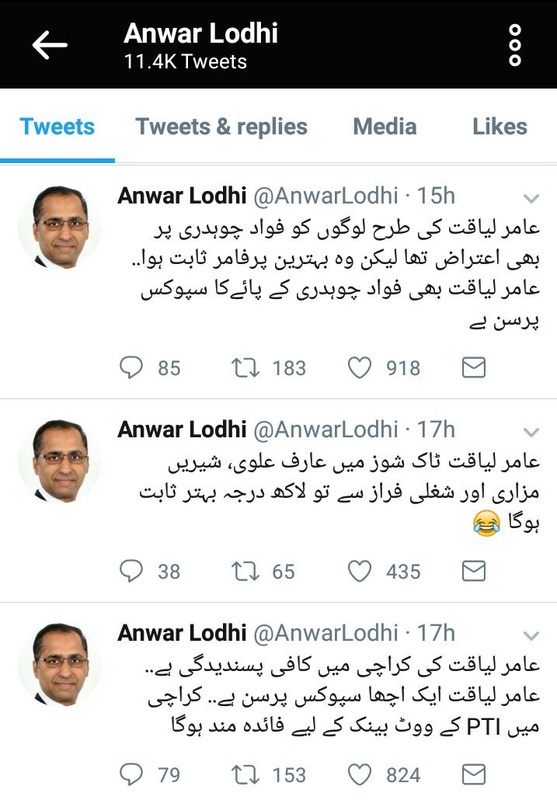 This is very common behavior of Pakistanis if you agree with them you are “Angel” and if you are against them then you are “Devil” .